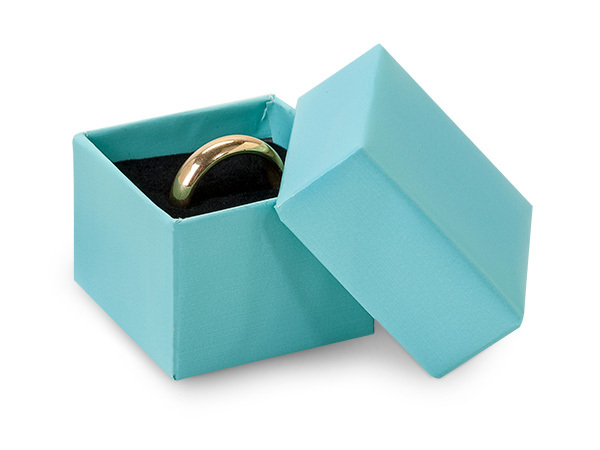 Aqua Jewel Ring Box measures 1-5/8 x 1-5/8 x 1-1/4" and includes a deluxe black foam insert. Jewelry boxes contain 100% recycled boxboard which is the largest component of the box by weight, does not include paper coverings. Made in the USA.